Ken Thomson is the Director General for Constitution and External Affairs in the Scottish Government. As a member of the Leadership and Learning Board, he has been involved in shaping how people think about and deliver elements of the Civil Service Leadership Academy. 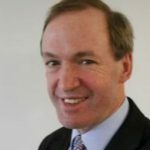 He has also presented part of the immersive case-study series, from his first-hand experience of the complex organisational landscapes, power structures and political sensitivities that leaders across the Civil Service need to navigate. With the current pace of change within the Civil Service and a complex external agenda, we need to transform. Over the coming years we will be responding to more complex challenges, both in advising ministers and delivering public services. .
To meet these challenges, we need to continue to improve and be more effective and efficient. As part of this, it is vital that we invest in developing our leadership skills and behaviours, both ‘on the job’ and by stepping away from the day job – to reflect on the challenges we face, how these impact on us personally as well as on those we lead, and what we bring to leadership in the Civil Service. In government, we deal with some of the most complex problems, so we need the best leaders. That means leaders who are inspiring, confident and empowering; who are instinctively collaborative, curious and dedicated to public service; and who come from all backgrounds and professions. We need leaders who learn and adapt in complex systems in a rapidly changing world, and are able to engage people in making sense of and responding to what is going on around them. We need leaders who are not just analytically brilliant, but who draw on their experience and values: the whole of what makes them who they are. In an early discussion on the Leadership Academy, we called this “leading from the head, the heart, and the gut”, and that phrase has stuck with me as we’ve worked on the design of what the academy offers. There’s huge potential to make a difference for the Civil Service through the Leadership Academy, both through well-tested and highly rated events like the Deputy Director Basecamps and in new ways. The Leadership Academy is blending together the expertise of internal and external colleagues, co-designing learning experiences that use the best of what is known about leadership and learning, with the authenticity of lived experience. This approach is really quite new and has great potential. It will create opportunities for leaders to come together and work collaboratively on some of the big challenges facing the Civil Service. It will help us to learn in a safe space, test new approaches and really challenge ourselves, and each other. The ‘leaders teaching leaders’ approach is a great opportunity to draw on the huge range of experience and expertise we already have. It will let us learn from real projects, from people involved in those projects, and by doing. Learning and improvement comes from trying new things, seeing what happens, understanding what that tells us about both the challenge and the way we think about it and adapting accordingly. The Leadership Academy gives us a chance to do that in ways that accelerate our learning. One of my own experiences was the basis for an early immersive case-study event based on the closing stages of the Scottish Fiscal Framework negotiation between the Scottish Government and HM Treasury. This ran in February and September 2017 as pilot for a number of other immersive case studies designed to help leaders be better able to lead when the unexpected happens. It’s been fascinating to revisit my own experience and reflect on what I, and others, were thinking, feeling and doing when the pressure was on. With the help of experts in how we learn, the Leadership Academy has shared that experience with colleagues in a way that helps them ‘experience’ it for themselves and reflect on their approach to leadership within complex systems. The feedback has been really positive, suggesting we’re helping people to explore both the Civil Service context and their own leadership practice in a powerful way. "One of the very few training sessions I have recently undertaken where I really learnt much about myself and long-held assumptions were challenged." The Civil Service Leadership Academy is a place where we can all begin the process of learning and working together collaboratively. I encourage you to be curious and find out how the Leadership Academy can support you, now and in the future. 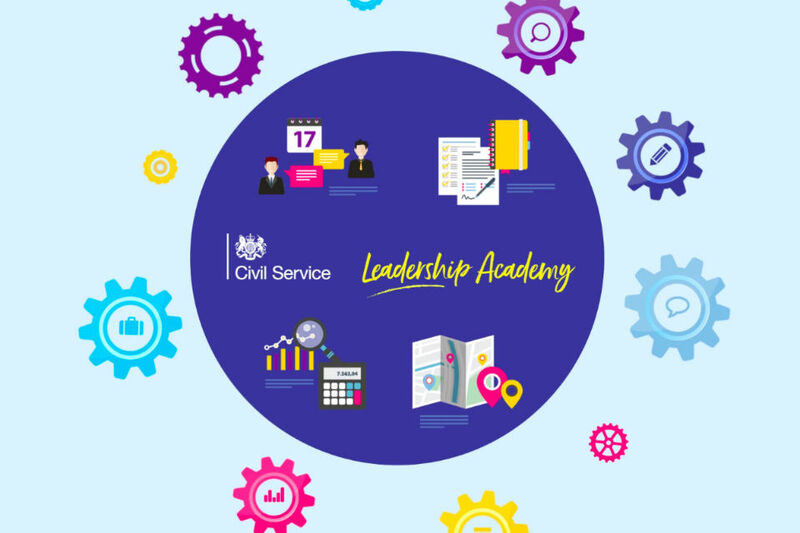 The Civil Service Leadership Academy is available to Senior Civil Service leaders and those on talent schemes. Alongside learning events and opportunities there will also be videos, blogs and other free resources. 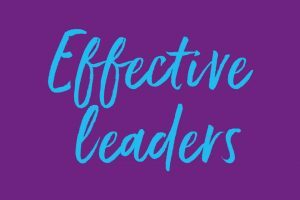 Over the coming months, learning opportunities, created in partnership with the Leadership Academy, will be open to leaders across the Civil Service, supporting leadership and management learning provided in departments and professions. You can explore the Leadership Academy by visiting: www.gov.uk/civilserviceleadershipacademy.